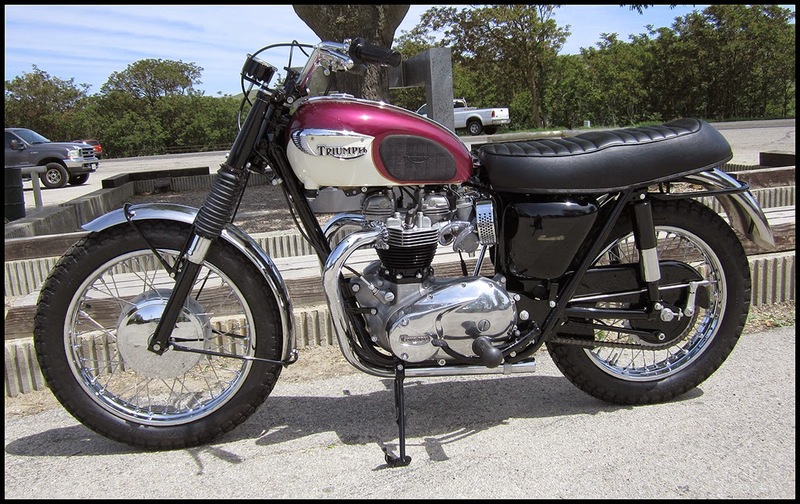 1967 Was the final year that Triumph produced the fire breathing T.T. Special. The T.T. 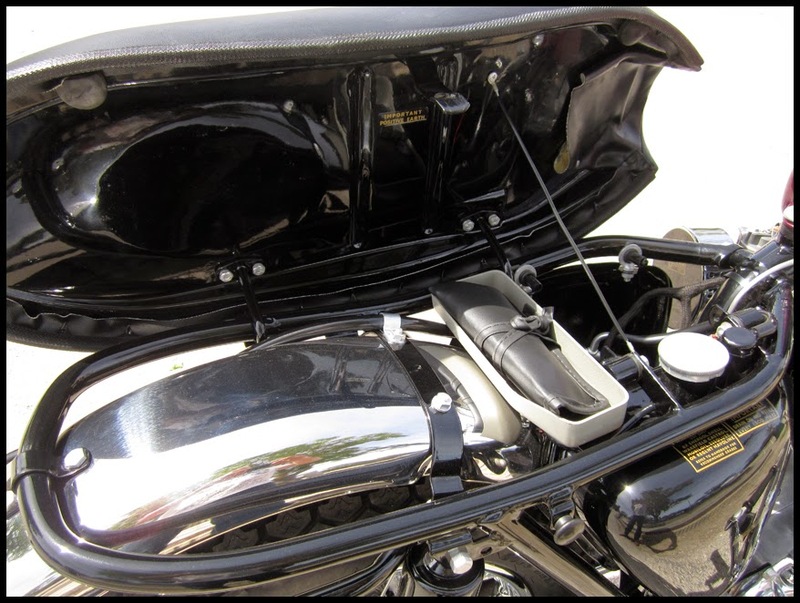 was a souped up Bonneville featuring High Compression Pistons, Sports Camshafts, 1-3/16" Amal Monobloc Carburetors, Energy Transfer Ignition, full bore Exhaust Pipes with no Silencers, Lighting, Horn or Speedometer. 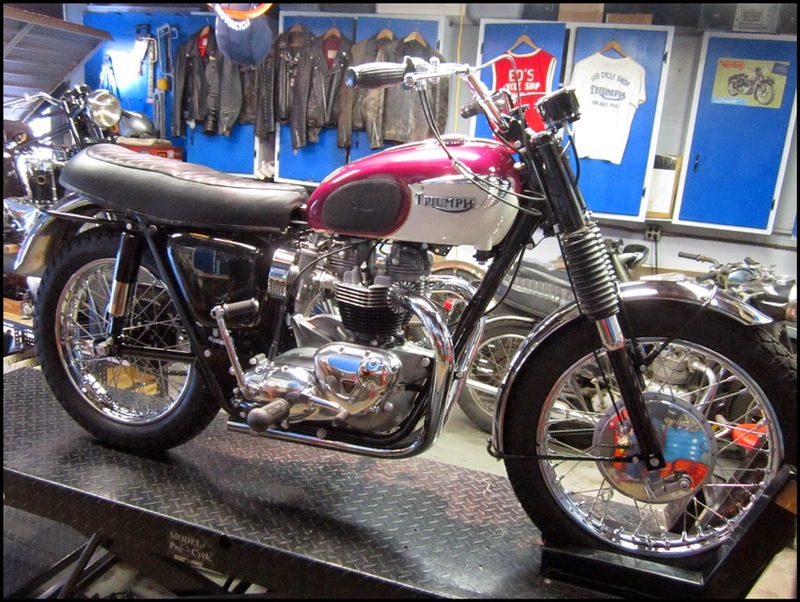 A bike destined for T.T Racing in the United States, all but a few were sent to either Tricor in the East or Johnson Motors in the West. 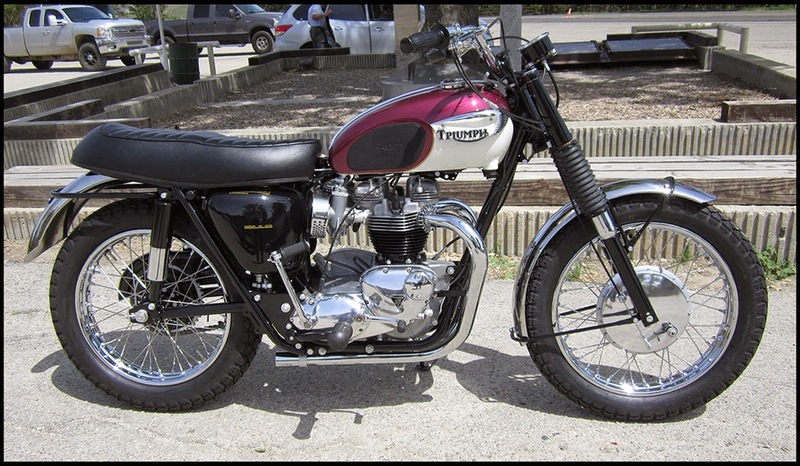 It is said that there were 1200 or so machines produced for '67, a batch of these were produced with early 1965 style Steering Heads with a steeper 65-degree Angle which were favored over the Head angle that was introduced for the '66 season. 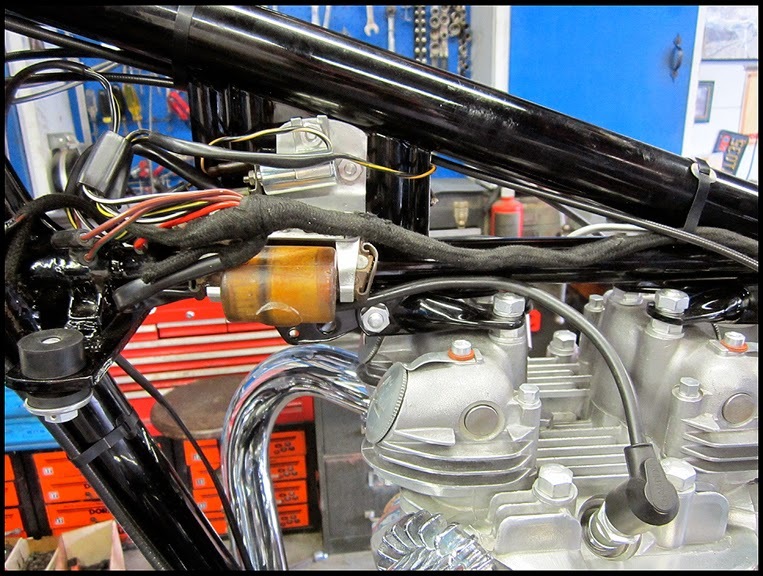 These Frames are identifiable by the lack of Fairing Lugs, the Steering Damper Anchor Plate mount as well as UNF Threads all over (which made them different from the 1965 Frames). Unfortunately although requested by US Dealers, the 1968 T.T. 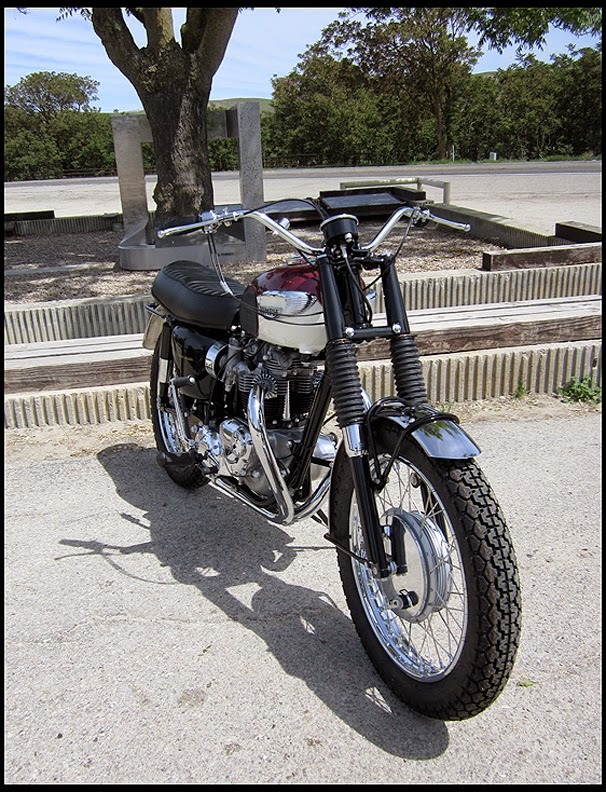 never went into production which is a great shame because it was destined to have this early style Frame, Alloy Rims as well as a central Oil Tank. The topic of these Frames is still a grey area because no paperwork has been found to back up this batch of machines but it can now be said after a good number of these bikes have been discovered even the most skeptical experts have now come around to the fact that these were factory produced, all the machines so far are within the same batch of serial numbers and were produced in December 1966. 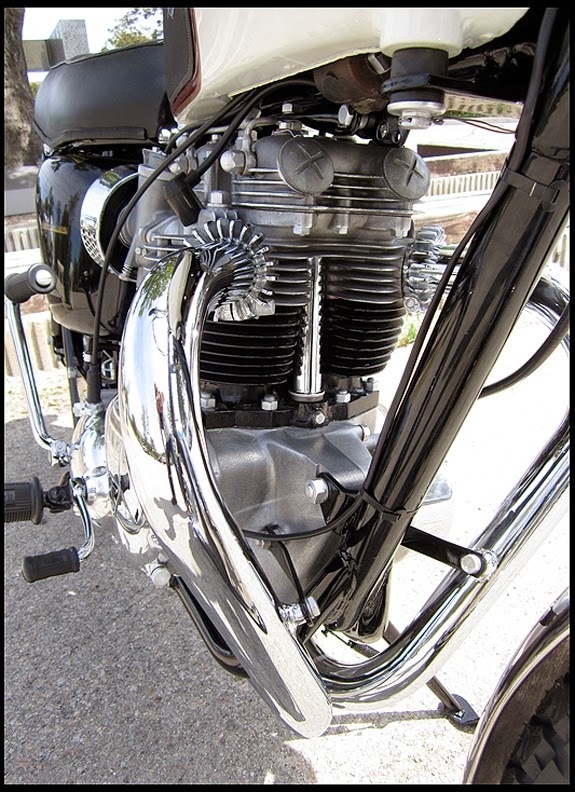 A link to a British Motorcycle Forum can be found at the end of this article which has an interesting thread on this subject. 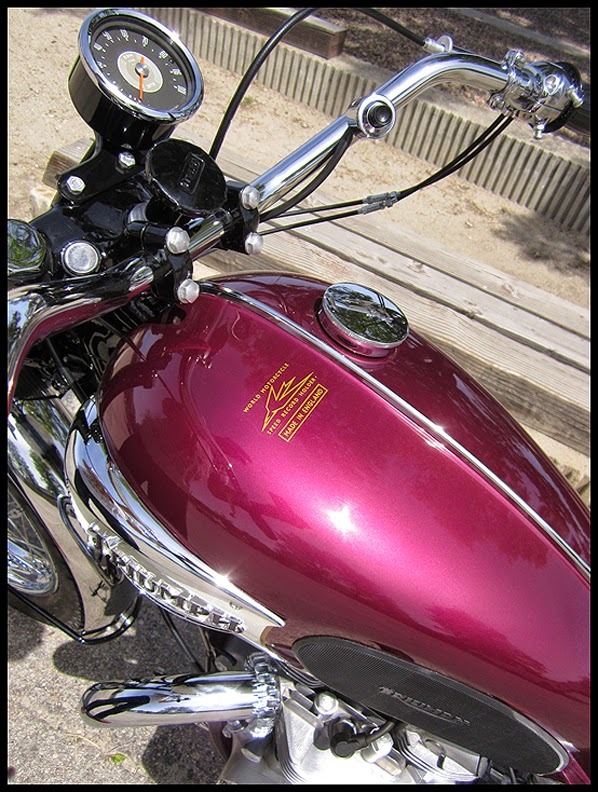 Aubergine and White were the colors for 1967 Bonnie's, although the first batch came with Aubergine and Gold. The change came at engine number DU48157. 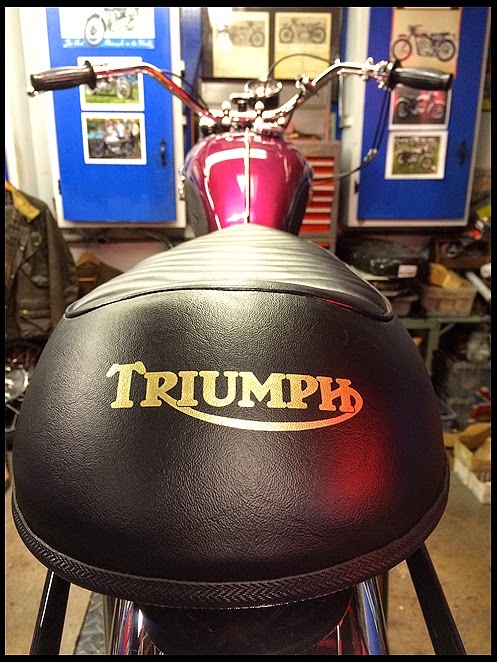 The Triumph Logo was introduced onto the back of Seats in 1966, this cover is New Old Stock and shows this logo exactly how it was. The seat is a very important detail to me on my restorations as I find that many restorations are spoilt by a couch looking saddle being employed. Pictured below is the bike as I found it. Advertised as a 1968 TR6? I went out to see it anyway. 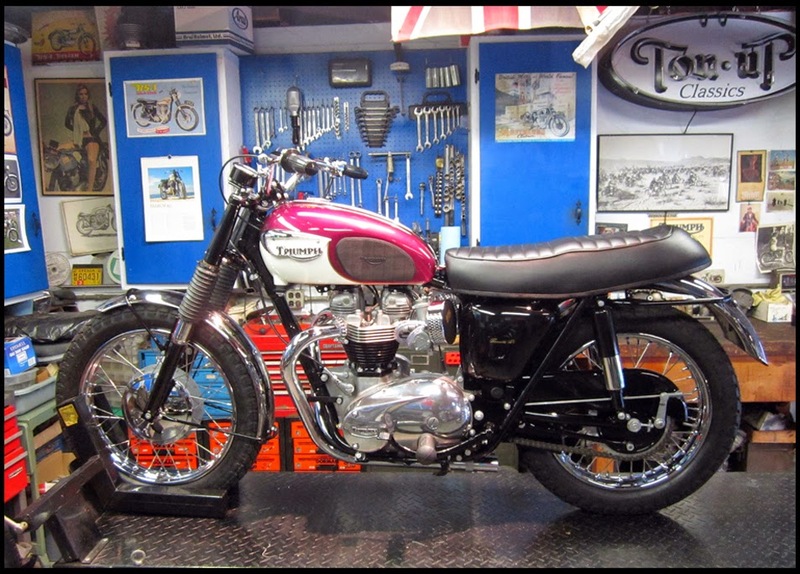 Instead of a TR6 was a 1967 TT! Sold with the original California Title. Some photos below were taken during the restoration. After a dry build to check the fit of the cycle parts and to insure all hardware was present and correct. The competition machines such as the T.T. 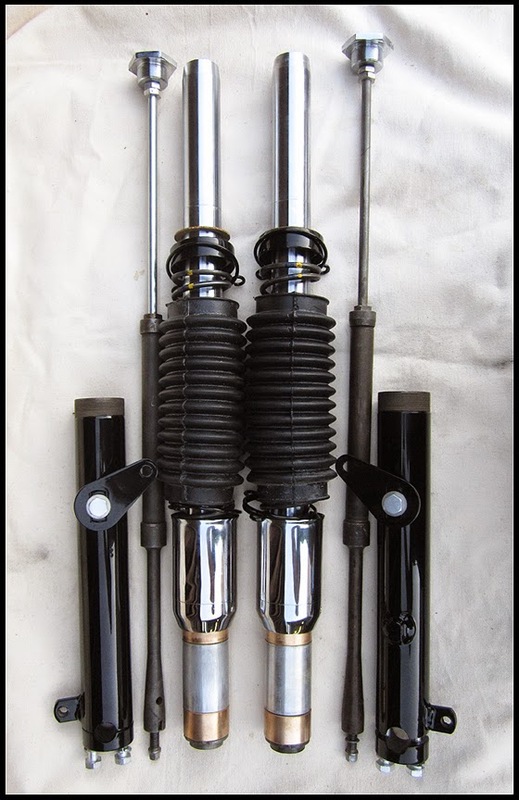 and TR6C were given more efficient Damper Rods that were not fitted to the road bikes, a worthwhile upgrade for 1964-1964 models. 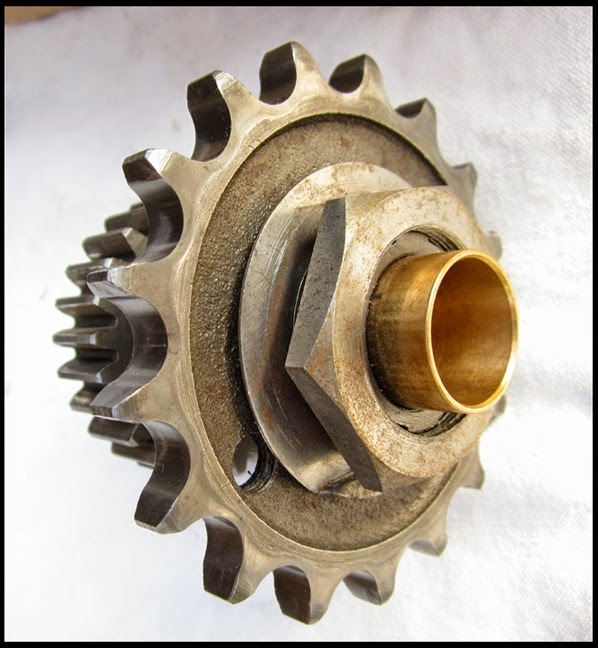 1966 Saw the introduction of a lightened Flywheel, it was said to improve off the line performance although was discontinued in 1968 because of addition vibration concerns. 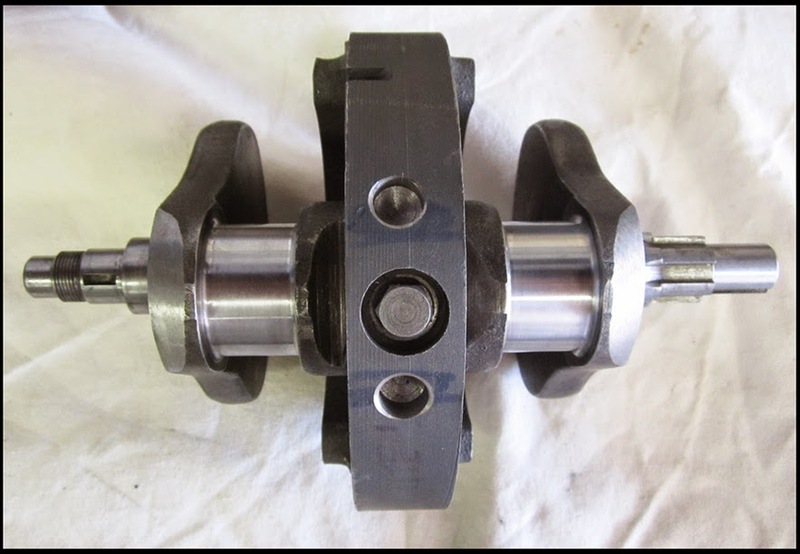 This Crank was dynamically balanced. Don't think I have ever had one of these motors apart and not had to replace the High Gear Bush, not due to internal wear but because the Clutch window Oil Seal hardens and cuts a grove into the brass rendering it useless for sealing oil. T.T. 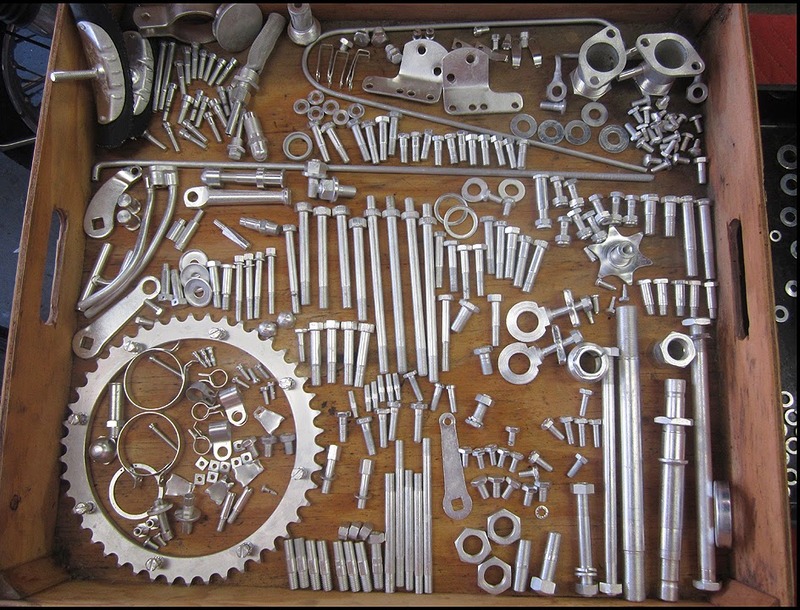 Specials used a 17-Tooth Countershaft Sprocket unlike the road bikes which used a 19 Tooth. 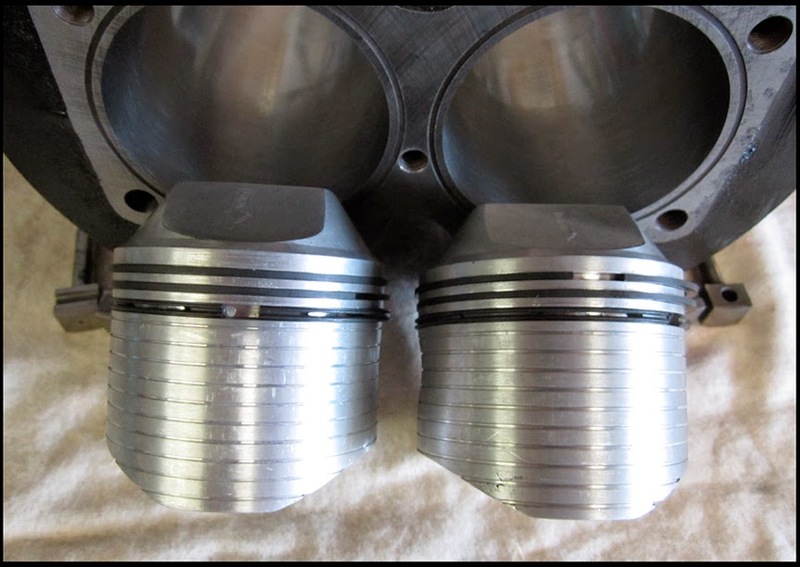 High Compression Racing Pistons by Robbins. Energy Transfer Ignition allowed the non use of a Battery. The E.T. system is frowned upon by many but when set up correctly can be a good set up although the Coils are very hard to come by nowadays. 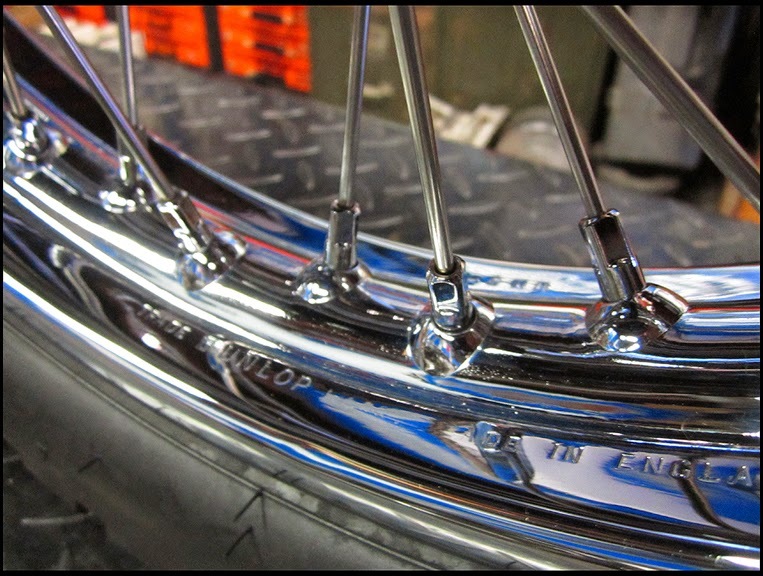 Original Dunlop Rims were restored, very pleased with the deep manufacturers stampings that survived the re-plating process. 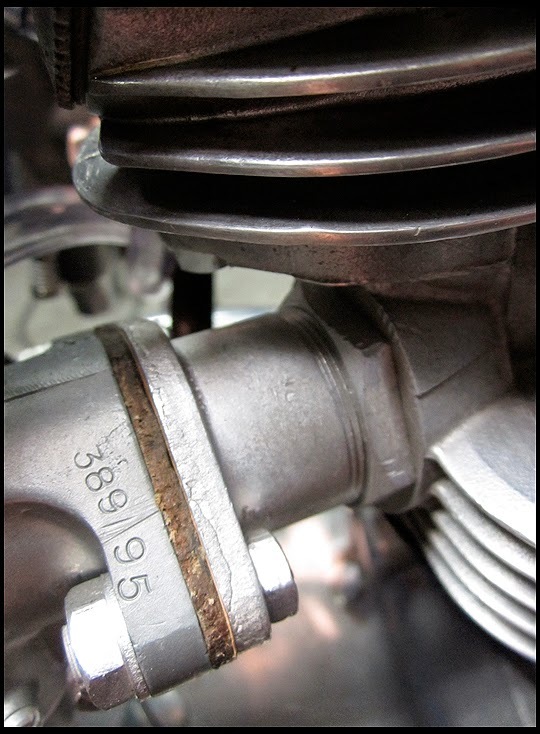 Original Amal Monobloc Carbs were retained and restored, each having correct numbers and date codes. 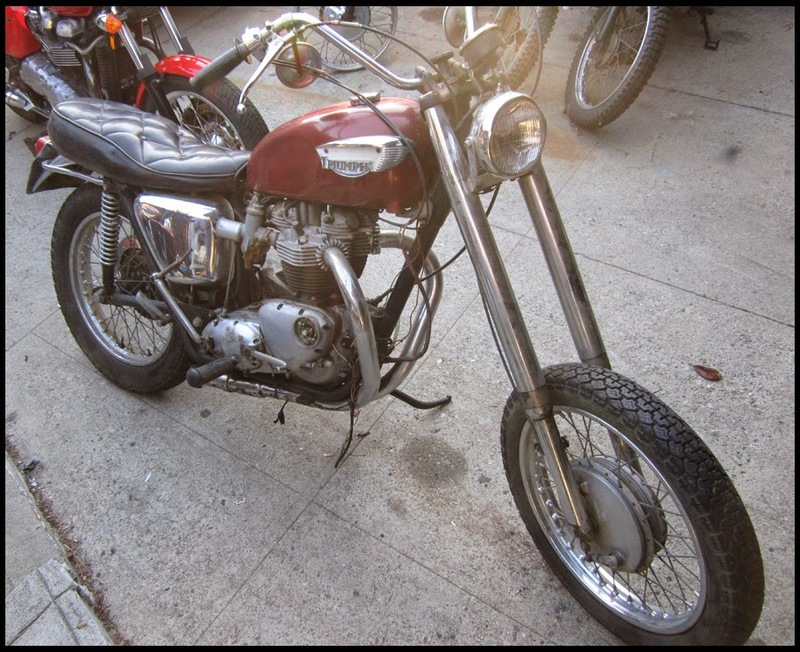 Below are a few shots of the bike just before it was delivered to it's new owner.